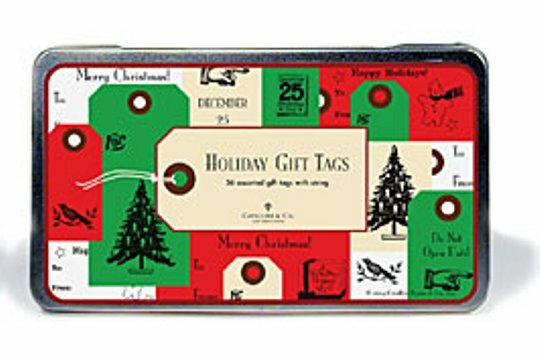 Delightful old-time illustrations and greetings distinguish these fine gift tags from all others. Each of the 36 tags is pre-strung, ready to tie on that special present! An assortment of sizes and colors will be sure to match any wrapping you might choose - from kraft paper and string to the most elegant of fine gift wraps! They arrive in a 4-1/2 by 8 inch reusable tin.